Thank you for your inquiry in the USA Hapkido Central Association. 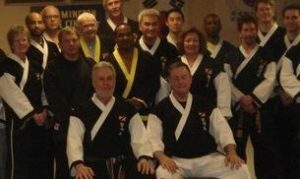 The USA Hapkido Central Association is recognized for representing the traditional teaching of Korean Hapkido,Tae Kwon Do, kickboxing and Mixed Martial Arts . Its Rank Certification and Instructor’s Appointment are one of the most sought after and legitimate credentials in the fighting arts. Our purpose in founding this organization was to preserve and promote the traditional philosophy and techniques of Hapkido for practical self-defense and a balance of arts for all Martial arts training facilities as well as to make this training method available to interested martial artists everywhere. Hapkido is the foundation of the dynamic Art of scientific self-defense and practical police arresting and containment tactics for any individual or instructor seeking total personal development. Our interest in teaching this art, to stimulate learning, share in research, and provide a path of enrichment for all serious-minded instructors and students. Membership in the USA Hapkido Central Association will provide you with many benefits and will also offer you the opportunity to meet, and develop many associates, martial artists and instructors of like interests throughout the US. You will be able to attend or host multi-faceted seminars and training camps. Your knowledge will grow and you will be more successful professionally. To join our organization, you will not be required to change your present system or program. We welcome, with an open mind, all sincere martial artists into our growing family. We welcome you to review a list of the Association benefits and our membership application. Let us know if you have any questions.